Fashion is really taking over the world, and the people of Hawaii are making it crystal clear. Many other American cities--NY, Chicago, LA, Philly, Indianapolis, and more--celebrate their own fashion week once or twice a year. Hawaii is the first state to take on the challenge for an entire month, and people are excited! 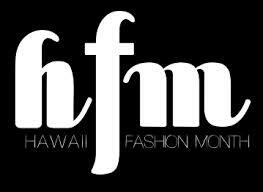 Governor Neil Abercombie has proclaimed October "Hawaiian Fashion Month" to highlight the unique fashion talents and styles of the 50th United State. The Department of Business, Economic Development and Tourism is leading the initiative, planning events, seminars, and of course fashion shows for the inaugural festivities. As if we need any more reason to visit Hawaii, here certainly is another. Congrats to Hawaii on making their stiletto print in the fashion industry!